When you have an accent in your second language, which most of us do if we started learning it as an adult, people sometimes react to you differently. Sometimes it’s good and sometimes it’s not. Here’s my list of 19 things that are true when you have a foreign accent. After moving to France and being the one with the accent, I have a greater appreciation for all my fellow language learners out there. And when back home in the USA, I make sure not to do any of the annoying things on my list to others. 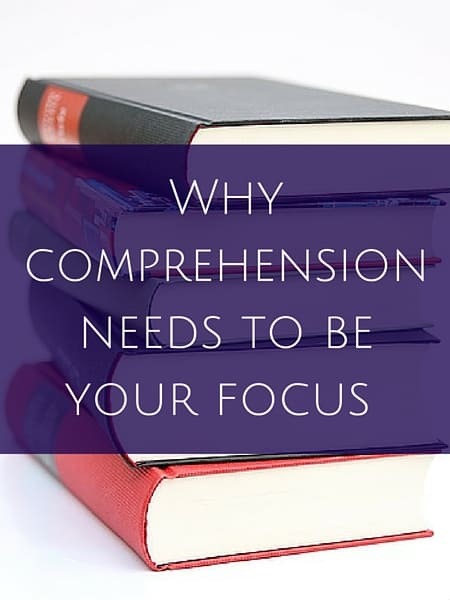 Even if it feels like we’re the only ones fumbling through life in our second language, that’s far from true. According to this piece, there were an estimated 232 million people living outside of their homeland in 2013. And in the USA alone? 13% of the 316 million residents are immigrants. For an interesting read on how foreign accents are perceived by our brain, take a few minutes to read this article. Here’s my take on things people do when you have an accent. They’re not French specific and sometimes we aren’t even aware we’re doing these things. I’m sure I’m guilty of a few of ’em too. You get asked where you’re from ALL THE TIME, so you’ve considered wearing a t-shirt like this one that clears that up. You get used to people speaking loudly to you, as if having an accent means you don’t understand. A high volume won’t change anything! I’m American, not deaf! You become instantly more interesting to those around you. You psych yourself out sometimes before you open your mouth and feel self-conscious when you do speak up. Especially around those you just met. People might find you charming just because of the way you speak and they’ll tell you as much! The flip side is people might find you too “different” and not want to talk to you because of their own hangups with foreigners. People might cut you off mid-sentence and talk over you more than you’re used to in your native tongue. It might not have anything to do with your accent. I find it a little frustrating when I’m doing my best to get my words out. You’ll get asked, “How do you say <random word> in English?” a lot! People speak to you at regular speed — which means FAST! — and you get used to people not realizing an accent might mean you’re still learning. 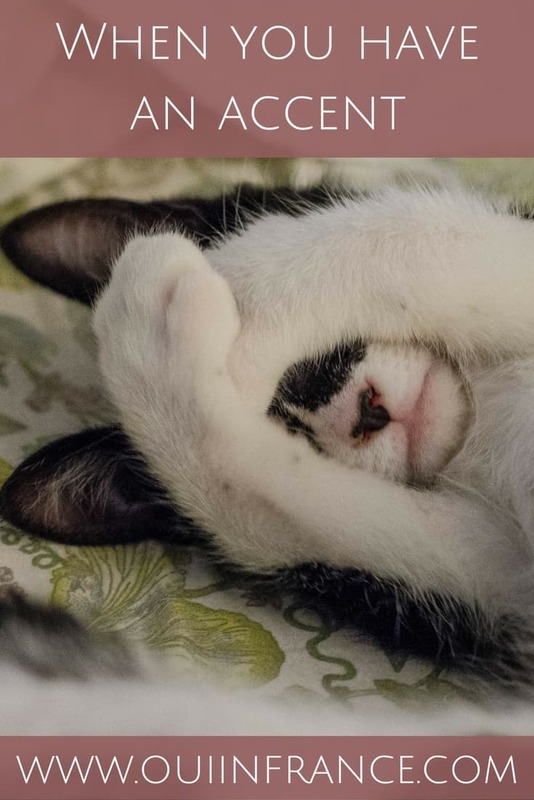 Playing catch up is mentally exhausting when you’re talking to a frantic speaker and you are always a few words behind. Sometimes people ask you to repeat yourself when you’re sure you’re speaking super clearly. It’s OK! If you’re in a smaller community, you become instantly identifiable as “The American” since there probably aren’t too many others that sound like you. People assume good and bad things about you based on where you’re from. Having an accent means you know 2 or more languages and that’s impressive. Congrats! People sometimes automatically lean in and squint their eyes at you a little bit when you start to talk (I find this really unnerving!). To that end, you sometimes tell people upfront that you’re a foreigner (almost apologetically) to help them get used to how you speak. Comes in handy when someone is expecting you to sound like everyone else. People often repeat things in your accent because they think it’s cute or cool. 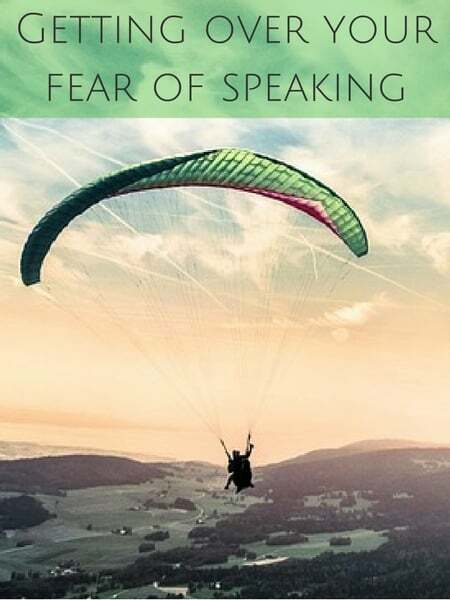 You get a little nervous before opening your mouth in a high-pressure situation where a bunch of people will hear you speak. Do you have any to add? 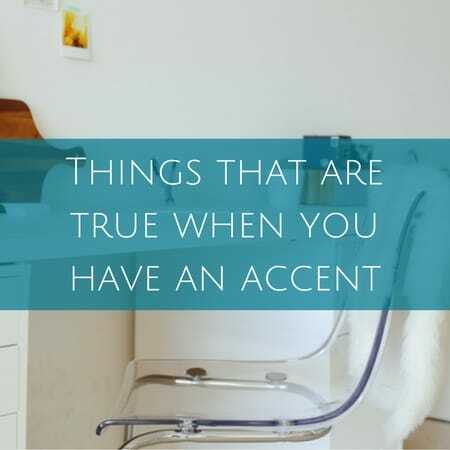 What do you find to be true when you have an accent? P.S. If you’re looking for a longer read, click over to read my cousin David’s interview on being a flight attendant. He talks salary, scariest moments and more! Re #14, people either think you’re incredibly smart (a British friend who moved to NY loved that everybody immediately assumed he was extremely smart and rich) or that you’re incredibly stupid. And that being stupid and/or deaf, you won’t understand the snarky comments they make about you right in front of your face. This is not limited to the French BTW! I wish people would stop commenting TO me, or AROUND me, about how I talk. I don’t care! I’ve lived here for almost ten years! Can we move on now? Ha, re no.3, the French guy I had a teenage romance with calls me ‘exotique Anglaise’…if only he knew! 18 and 19…yep. I was deffo very polite and friendly on the phone to a French insurance company today, I also apologized for my French. I have to say they were very pleasant and efficient and I didn’t get any of that ‘your French isn’t good enough’ crap that I read about in your comments recently. Oh yay, always nice to hear about good phone experiences! I think people in general, not just French people, want to help and be understanding so hoping anyone who told someone their French wasn’t good enough was just having a bad day. That’s not the norm! Yeah, it applies to pretty much all people/languages and I’m sorry to hear people say unpleasant things to you. Some people just don’t think through what they’re saying before opening their mouths! Oh no! I am almost positive I did the lean in and squint thing today when I was hanging out with my non-American friends! I have to concentrate to understand them, even though they speak excellent English. 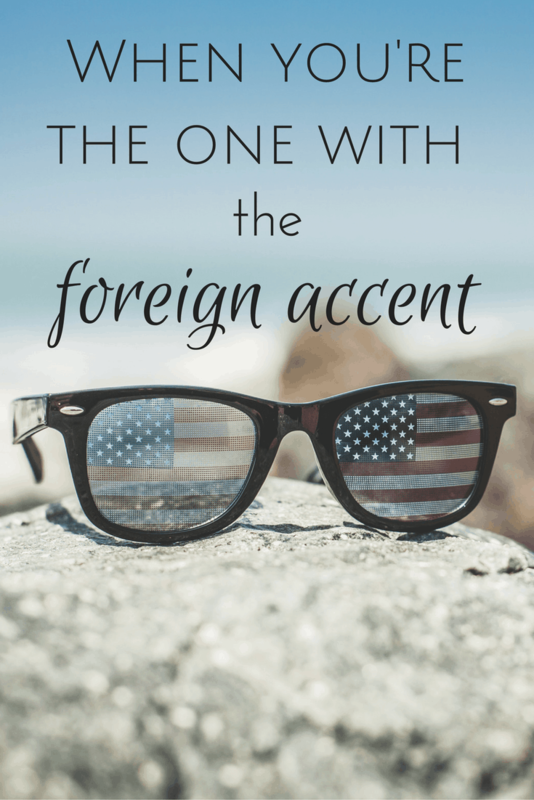 My husband has an accent and yes, it made him instantly more interesting! 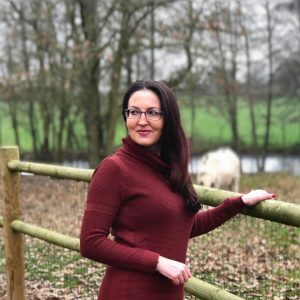 We occasionally consider moving across the pond and I always wonder how I’ll do with another language and how I’d be perceived, so this was an interesting read. This list basically sums up my day-to-day life as a Canadian living in Rome. I’ve been here for four years, I’m pretty much fluent in Italian (or that point that comes right before true fluency – the occasional grammatical error or slightly strange phrasing creeping in) thanks to my non-English-speaking boyfriend, but I still answer questions about where I’m from on a daily basis, have people start squinting at me as soon as I open my mouth and don’t sound exactly like they were expecting, and laughing at the way certain words sound in my accent. The worst though is when they switch to English (even when they hardly speak English) because they assume that I’m a) a tourist or b) can’t possibly comprehend their language. Ugh. Don’t even get me started on how rude that is. Totally get it! The squinting just kills me and I know people don’t do it on purpose, but come on, have people never heard accents before??? “Where from in the States are you” ? I get asked that question all the time! It’s just interesting how we tend to associate people’s accents to their origins! Thanks for this lovely piece Diane. Thanks for taking the time to read it. 😉 I feel like sometimes people use the accent to connect with you, as an ice breaker and that’s cool, but when they use it as an excuse to argue or criticize your country, ugh. Have a good weekend! I believe this most probably apply to every foreigner in any country they choose to emigrate to. I am French, living now 10 years out of France, and I am still facing those points on a daily basis ! So it’s probably not related to France & US originating people.